Expectation vs Reality: How would you spend your money if you won a Jackpot? Casino News How Would You Spend Your Money If You Won A Jackpot? What would you spend the money on if you won a jackpot? We’ve all had that thought while trapped at our desk on a drizzly morning or being bustled about on the daily commute. What if we had an almost unlimited amount of money? How would we use it to free ourselves from the daily struggles that affect our lives? 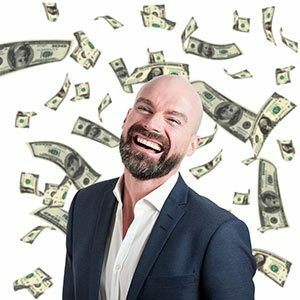 Luckily for us, and even luckier for them, there have been hundreds of people to win huge jackpots – so how exactly did they spend their money? Does the expectation for what we’d do with a huge jackpot match the reality of what other people have done with it? When we fantasise about what to spend a huge jackpot on, it’s usually those items that seem so far out of reach. But, a huge amount of money means anything could be yours to buy – from houses, boats, cars, planes and helicopters to watches and clothing. The most common things bought are new houses, cars, and holidays. The average jackpot winner buys five cars and funds three holidays a year. Homes are one of the most popular purchases. In a survey of 3000 jackpot winners of at least a million, 7,958 new homes were purchased, with 2,460 of these being for themselves, and 5,498 being as investment properties, holiday homes, or houses for other people. Thinking smartly, the Griffiths family spent £670,000 of their £1.8 million win on their dream home, bought a Porsche, bought two properties to rent out, invested in stocks and shares – and Mr Griffiths spent £25,000 to make a record with his university bandmates. By 2012, their initial win had been spent up. 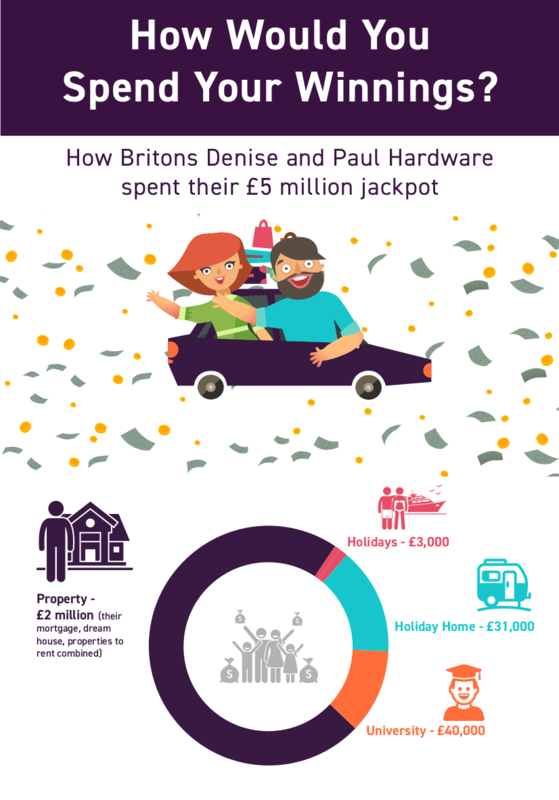 Denise and Paul Hardware won £5 million and bought their dream home, properties to rent out, and funded their son’s university career. They spent £1 million on properties to rent out, £450,000 on their dream house, £44,000 to pay off their mortgage, £31,000 for a caravan in Trecco Bay, £40,000 to put their son through university, and £3,000 on a celebratory cruise. Reportedly, 17,190 new cars were purchased by just 3000 people who had won at least a million in a jackpot. Lorry driver Tom Naylor spent over £750,000 in total purchasing a car for every day of the week including a Bond-inspired Aston Martin DB9, a Rolls-Royce, and several Jaguars – and one Peugeot for the weekly shopping - after scooping up £15.5 million in 2001. The most popular cars that jackpot winners buy include Land Rovers, Audis, Jaguars, Porsches and Toyotas. The first idea that many have is to use the money to fund holidays, cruises, or round the world trips. Jackpot winner Pete Kyle spent a sum of his £5.1 million win on holidays to SeaWorld and Disney in Florida. Dale Philip enjoyed travelling to a whopping 50 countries when he packed in his day job to play poker online full time, winning up to £10,000 per month. Basing himself out of Thailand, Philip’s goal was to earn more money playing than he’d spend on his trips around the world. With 130,000,000-to-1 odds, Nigel Willetts won £1 million from a £1 bet and is spending the winnings on a series of holidays. How Charitable Would You Be? Charitable contributions are often cited as a major source of spending when people fantasize about winning big jackpots. But how many people actually donate money to charity? A study found that 58% per cent of female respondents would donate some or all of their money, while only 41% of males would do the same. A Gallup study found that two-thirds of American workers would continue to work after winning a windfall. This figure jumped from 55% to 61% between 2004 and 2006, rising to 68% in 2013. Workers aged 55 and over would be more likely to quit, while younger workers would stay in employment – but would be more likely to switch employers. 36% of 18-34-year-olds would switch jobs, while only 22% of 35–54-year-olds and 10% of 55+-year-olds would. Only 31% of college graduates would stop working if they won a $10 million jackpot. Jonathan Vargas won $35.3 million and created a TV show, Wrestlicious, featuring female wrestlers performing sketch comedy – essentially creating his own job through his winnings. According to The Guardian, of 3000 lottery winners who became millionaires, 59% gave up their job, 31% spent their time doing unpaid voluntary work to give back, while 15% launched their own business, culminating in the creation of 3,780 more millionaires. A Swedish study in 2005 by Bengt Furaker Anna Hedenus, published in 2012, found that, of lottery winners, 12% quit their jobs, 24% took unpaid leave, 16% reduced their working hours, 62% made no change to their circumstances. Not everyone who wins big want people to know about it – a Powerball winner in January 2018 in the United States claimed a $560 million jackpot and won a case to keep herself anonymous. A report suggests that $800 million in lottery winnings goes unclaimed every year. In fact, 85% of UK lottery winners never reveal their identities, which means demographic data on lottery winners is lost to protect their anonymity. Do Jackpots Make You Happier? A study for the University of Nottingham (Tunney, 2006) found that those who have won big jackpots are actually happier in every qualification of what happiness means according to the World Database of Happiness. This is attributed to financial security, fewer pressures, and more time to spend with family and friends. Most took more holidays and moved house – but didn’t move more than a few miles away to maintain current networks. Jackpot winners became happier as they aged and reported fewer visits to a GP than their counterparts. Beat the Odds: Who is More Likely to Win the Jackpot? If you don’t undertake any jackpot-winning activities, you’re not going to win the jackpot. A study for the Journal of Gambling Studies (Barnes et al, 2011) found that 70% of 20- and 30-somethings buy a lottery ticket at least once a year, while only 45% of those 70 and over do. Contrasting this, those 30-69 on average buy 25 lottery tickets a year. The odds of winning at various jackpot-inducing activities vary but The Telegraph states that your average odds are 1 in 45,057,474. Though, despite the high odds stacked against you, Evelyn Evans managed to win the lottery twice – cashing in a total of $5.4 million. 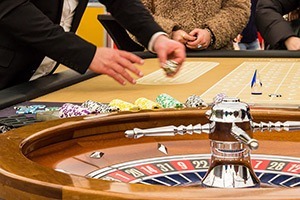 Bond actor Sean Connery won big on roulette when it landed on black 17 three times in a row – beating odds 50,000 to 1 to collect his £10,000 (£163,000 in today’s economy). But participants in the lottery can be broken down into age ranges, showing that middle-aged people are more likely to play the lottery. 1/6 of 18 – 25-year-olds play the lottery once a month. 70% of the UK population plays the lottery at least once a year, with 50% playing the lottery at least every month. In the UK, 48% of people surveyed had attempted to win a jackpot in some way in the past four weeks of being asked the question. This figure dropped to 33% when not including the jackpot from the lottery and solely focused on jackpots attained through gambling. Breaking this down into gender demographics found that 53% of men and 44% of women have gambled, these numbers steadily growing from previous studies. 17% of those surveyed attempted to win their jackpots online, with 97% of these attempting this from home. How High Could Your Jackpot Be? Cynthia Jay Brennan - $34,959,458.56 - Las Vegas, NV – 2000 – Unfortunately, bad luck hit Cynthia mere days after her big win, landing her in a wheelchair for life. Ashley Revell - $270,000 - Las Vegas, NV – 2004 – Ashley traded in all his possessions to make £80,000, which he chose to place on red at a special televised casino event in a one-off bet. Elmer Sherwin - $21,147,947 - Las Vegas, NV - 2005 – Elmer had already won $4.6 million 16 years earlier. He gave away most of the money to family, friends, and charitable causes. Jon Heywood - £13.2 million – online – 2015 – Heywood was featured in the Guinness Book of World Records for achieving the greatest online jackpot. Katrina Bookman - $42.9 million - Las Vegas, NV – 2017 - Katrina was informed that the machine had malfunctioned and that the biggest win possible that day was $6,500. For her inconvenience, she was awarded a steak dinner instead. Many people wonder what they’d spend money on if they won a huge jackpot. Some brag about the amount they’d spend on family and friends; some take the altruistic route and claim they’d donate it all to charity; others plan the homes and vacations they’ll have with their win. Some tackle some real issues in their lives such as leaving a job they dislike or paying off their mortgage. Others spend it on experiences and some take a mixture of all of them. Ultimately, the expectation and the reality can only ever be realised once you win the money. Some claim they’ll spend it and instead invest, others swear that they’ll invest it all and end up blowing the entire jackpot.